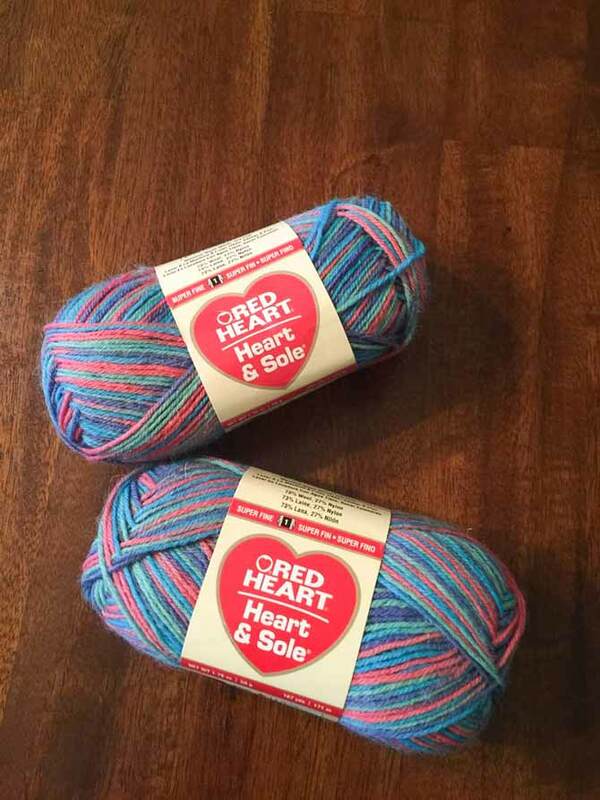 The one thing it makes sense to knit with Heart & Sole sock yarn, is socks. However, there are many people out there who are a little bit timid to start socks. The light weight of the yarn puts them off and they are nervous about it taking forever. This is not the case! Socks are the easiest thing to knit once you get the hang of them and are one of the most portable pieces of knitting I’ve ever come across. Sorbeto is the perfect summer color. It makes me think of ice cream and a hot boardwalk. I’m going to start with the portability of socks because that’s a huge selling point for myself. I’m a busy person and am constantly running from one thing to another. I’m also compulsively early. I keep a pair of socks in a project bag in my car, that way when I’m early for something and have 10-15 minutes to kill, I can sit in my car and knit. It’s also perfect when I have someone else driving. Our lives in general these days consist of a lot of waiting. If I’m headed to the doctor’s office, dentist, anywhere I’ll be sitting for an undetermined period of time, I bring a project bag with the needles to start socks. If you’re having a hard time thinking about all the times you’re waiting for something, think of the times when you’re on your smart phone scrolling through facebook or instagram in a public place. Love the Purple and Skyscraper combination. Getting out those bright colors for spring and summer! Socks are the perfect project to just pick up for a couple rows here and there as well. If you’re doing an easy pattern, such as a K3P1 or plain stockinette, you can pick it up for one or two stitches here and there. While you’re making dinner, waiting for your coffee to brew, waiting for that last 10 minutes on your laundry, etc. The only part you really have to watch out for is when you’re getting close to putting in a heel, but depending on the type of sock you’re comfortable doing, you might not even have to worry about that! An afterthought heel goes in when you’re done the rest of the sock. You can either use waste yarn to make the place for the heel or snip a small stitch in the middle and unravel stitches for the heel. At that point you’re just knitting a long tube! I actually love that this yarn matches my needle case! 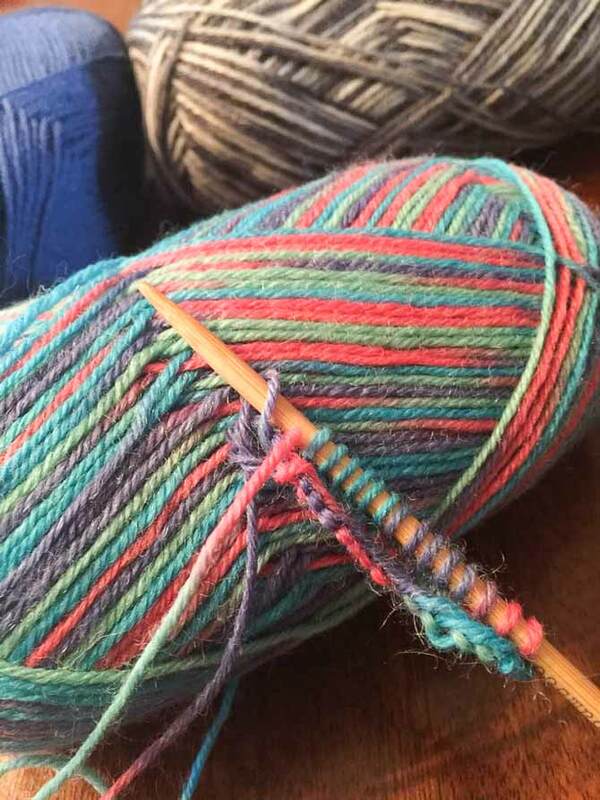 When you first start sock knitting, you have to check your gauge, needles, yarn, technique, and basically figure everything out. Once you’ve done this though, you’ll know what you need to make socks for yourself. I know that if I have a sock yarn and 2.25mm needles I need to cast on 64 stitches to make a sock for myself. 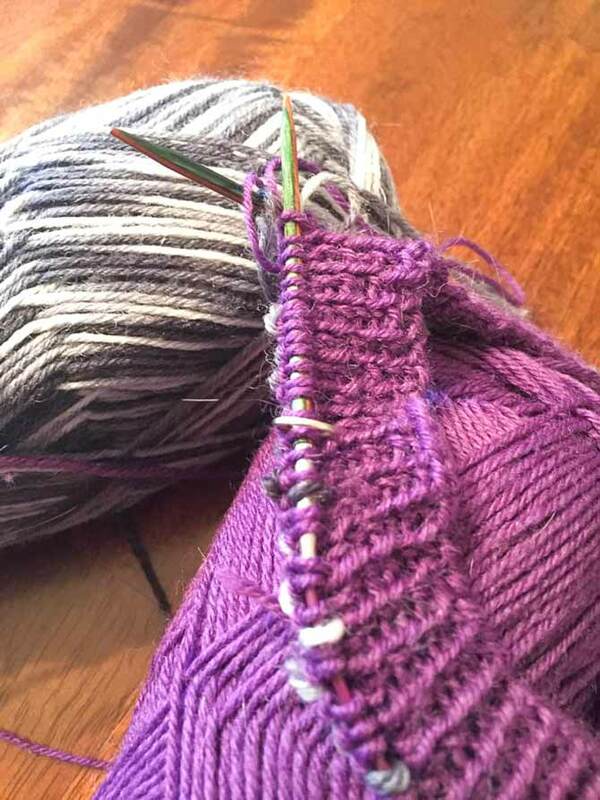 I knit from the toe up for 7″ (from the tip of my middle finger to my wrist crease) then put in the heel. BAM, there’s my sock, just like that. You’re obviously not going to get this the very first time, but after you’ve knit one or two, you’ll easily have your numbers straight. Lastly, one can never have too many socks! Sock yarns are one of the more plentiful yarns I have seen. There are lots and lots of colors, variegated, patterns, and textures out there. 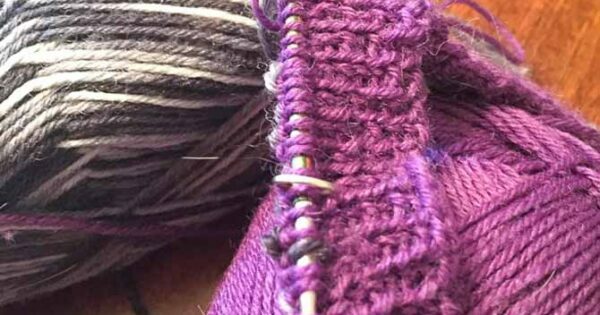 You can knit the same sock pattern 1000 times, but if you use a different yarn every time, it will always look different. You’ll know exactly how many stitches to cast on once you’ve knit a sock a couple times. 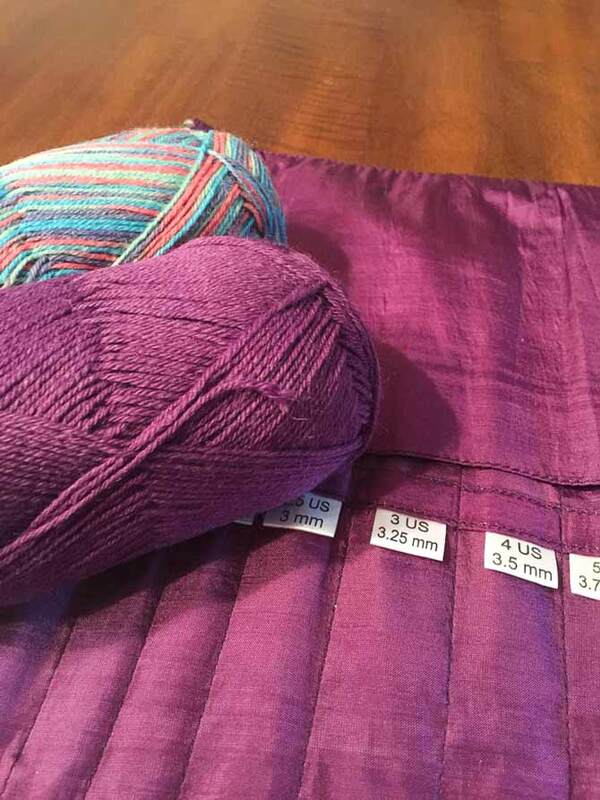 If you grab a ball of Heart & Sole on your way out the door with your chosen needle size, you’ll be able to knit wherever you go. I’m not even above keeping some knitting needles in my purse. Just so that you’re never stuck without knitting when you have the spare time. This is part 2 of 5 in this series. Michelle Nguyen is founder and creative director of Stitch Please Yarns. She originally got into the fiber arts business writing about knitting at her blog Stitches be Slippin, and now, also writes for KNITmuch.com.